Rumours and speculations around Samsung’s next-gen flagship smartphone, the Galaxy S10 have been hitting the internet hard. The latest one suggests that the entire Galaxy S10 series will come with reverse wireless charging which will called as ‘PowerShare’. This means that you can charge other phones which come with wireless charging by just placing it on the back of the phone. The feature was first introduced on the Huawei Mate 20 Pro and Samsung could be the next company to adopt this technology. The leaked information comes from a photo which was apparently taken at some demo booth. 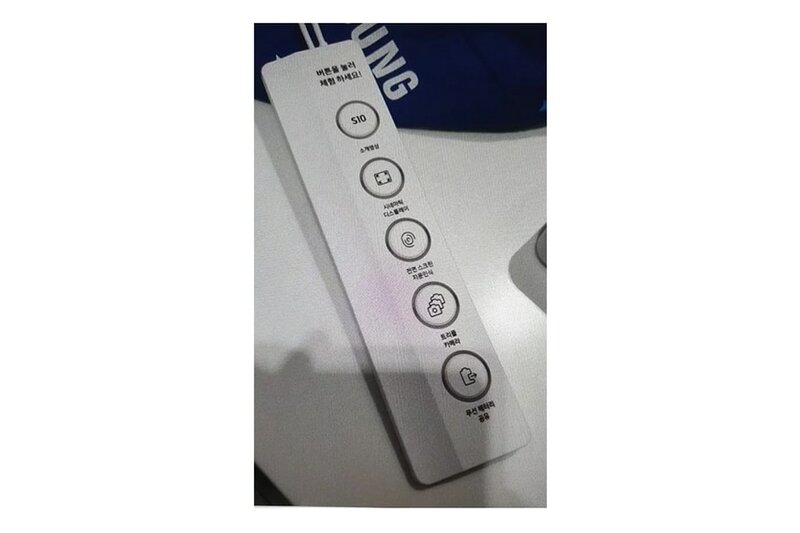 The photo is of a controller at the booth with various buttons that play videos showcasing different features of the upcoming device. The first button plays a video ad of the phone, the second one plays a video talking about the display. The third and fourth buttons are for videos showing off the phone’s in-display fingerprint scanner and triple rear cameras respectively and the last one is for the PowerShare reverse wireless charging feature. Whether the feature will offer fast wireless charging is still unknown, but we really hope Samsung implements a faster way to charge other phones wirelessly since the one on the Huawei Mate 20 Pro is quite slow. Recently we saw tipster Ice Universe suggesting that the Galaxy S10+ will include a special 12GB RAM + 1TB storage version with a ceramic back cover. This ceramic has a special process that is not only scratch resistant but also resistant to falling, but the weight will increase.